Saint Lucia is a beautiful, small island with a dramatic countryside, peaks and valleys, covered in a lush green rain forest, edged by wonderful beaches and surrounded by the bright blue Caribbean Sea. The island’s stunning scenery will take your breath away. 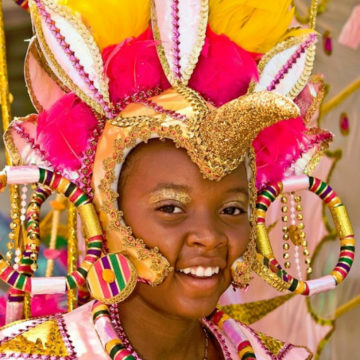 Although Saint Lucia’s natural world is its most striking feature, a big part of the island’s appeal is its rich cultural heritage. The island is regarded as one of the most welcoming in the Caribbean. Saint Lucians are known for their friendly nature. Saint Lucia has a lot to offer, beaches, vibrant nightlife and world-class restaurants in the north, while the south of the island a delight for those who appreciate the natural world. 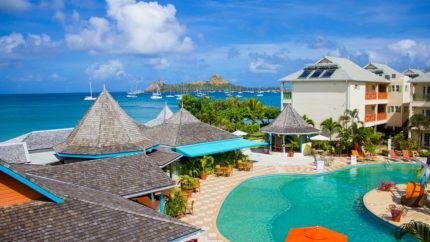 Saint Lucia is a tropical island, warm and sunny weather – all year, there is little seasonal change, with a refreshing breeze from the Atlantic Ocean. When is a good time to visit? As soon as you can! Saint Lucia has a varied ecosystem, home to colourful and interesting flora and fauna, including several endemic bird species like the brightly coloured Saint Lucia Parrot. Nature lovers will enjoy the many opportunities to explore this beautiful island. The dense rainforest has many exciting features and experiences – a volcano, majestic waterfalls and hot sulphur springs. The iconic Piton Mountains, the island’s most famous landmarks, are a UNESCO heritage site. There are a large number of tours on offer, which we can book for you. 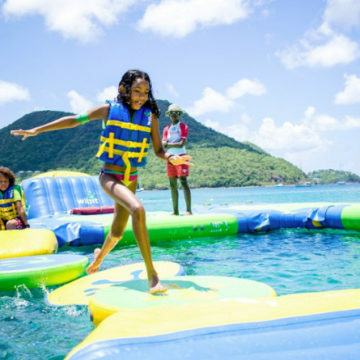 Saint Lucia offers a huge choice of exciting leisure and sports activities for everyone to enjoy – too many to mention here and the island has a remarkably full calendar of events, sports and cultural, throughout the year. Saint Lucia is surrounded by the warm, clear water of the Caribbean Sea and is as beautiful underwater as it is on land, exciting underwater features, healthy reefs and a colourful and varied marine life, which thrill snorkellers and divers. The Atlantic Ocean coast is visited by the larger ocean roaming species – and St. Lucia is one best places in the Caribbean to see whales, turtles and dolphins. The diving and snorkelling on St. Lucia are superb. Many of the beaches have water sports available, so there are many opportunities for everyone to enjoy the wonderful ocean. 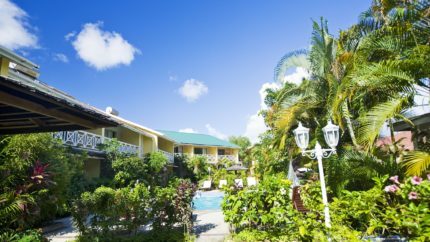 We are an ATOL licensed Caribbean holiday specialist with a wealth of local knowledge and many years’ experience on St. Lucia. For many people our islands are “undiscovered” places – exciting new holiday destinations. Having enjoyed and experienced much of what St. Lucia has to offer, we know the island well. We can answer your questions from personal experience and tailor-make a holiday to your requirements and wishes. We enjoy talking about the island and would be delighted to discuss any plans you have for a holiday in this special part of the world. St. Lucia is a small Caribbean island, part of the Lesser Antilles, 21 miles northeast of Saint Vincent, 40 miles northwest of Barbados and 24 miles south of Martinique. It is just 27 miles long by 14 miles across, around 238 square miles. The population of the island is around 179,000 and Castries, the island’s capital, is home to around 69,000 St. Lucians. English is the official language and most Saint Lucians also speak French based Creole, part of Saint Lucia’s dual British-French heritage. Saint Lucia enjoys a tropical climate, warm and sunny almost every day, cooled by the breeze from the ocean, keeping humidity down, and keeping you fresh and comfortable. Whatever kind of holiday you prefer, you can do it in comfort and enjoy it to the full. 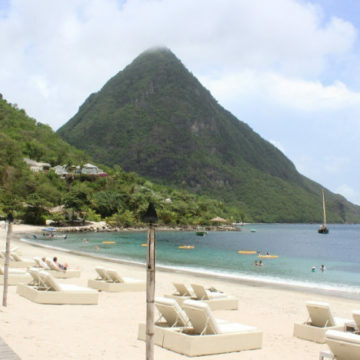 Saint Lucia’s daytime temperatures ranging from 258C to 358C. The dry season is between December and May, whilst the rainy season is from June to November. 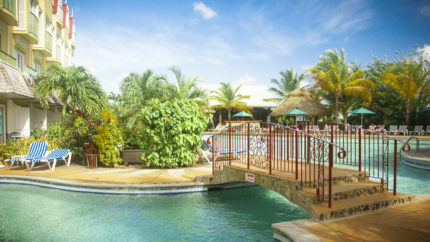 As St. Lucia is a tropical island, the temperature does not vary a great deal between winter and summer. Average annual rainfall ranges from 51 inches on the coast to 150 inches in the mountain rainforests. Rain comes in short, but heavy downpours, after which it is bright and sunny again. Saint Lucia was first inhabited by the peaceful Arawak Indians, who were displaced by the fierce Carib Indians. 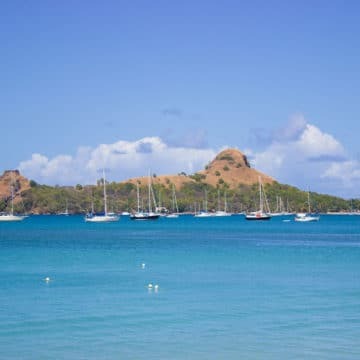 French pirates were some of the first Europeans to settle on the island, notably François le Clerc (known as Jambe de Bois, due to his wooden leg). Saint Lucia was named after Saint Lucy of Syracuse by the French. Saint Lucia was alternately British and French before finally being ceded to the British in 1814. St. Lucia is now an independent member state of the British Commonwealth. Castries’ harbour was protected by a system of 60 surrounding forts. Along the top of Morne Fortune there are six military sites – Fort Charlotte (Old Morne Fortress), the Apostle’s Battery (1888-1890), The Powder Magazine, Provost’s Redoubt (1792) built as a lookout point and the Combermere barracks. The best preserved is a battery at La Toc Point, completed in 1888, and only finally abandoned in 1905. Saint Lucia is a Caribbean island with a dramatic landscape and a coastline dotted with delightful small bays and gorgeous soft sand beaches. Saint Lucia offers something for everyone. 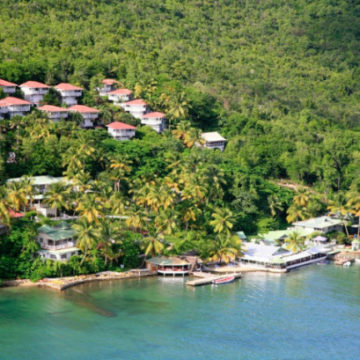 Saint Lucia has a very friendly and comfortable atmosphere, with no specific tourist areas. Saint Lucia’s population is a combination of people with African, European, Indo-Caribbean and Carib descent. The multi-cultural nature of the island gives it its harmonious Caribbean way of life and Saint Lucia is considered one of the most welcoming islands in the Caribbean. 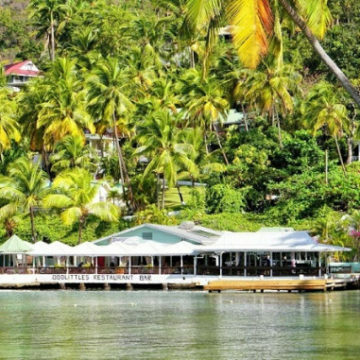 The cultural mix, as always, is reflected in the island cuisine, an exciting choice of West Indian, Creole and French food, prepared by internationally recognised chefs and some local maestros. The local creole restaurants in Rodney Bay are great and amazing value for money. 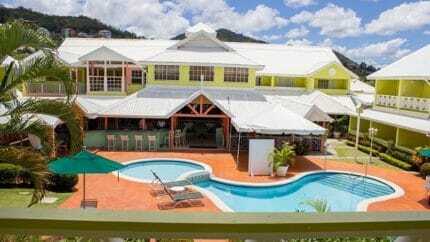 Rodney Bay, where most accommodation is located, has many excellent restaurants and bars. St Lucia is in the Caribbean Sea, and its volcanic birth has created spectacular natural features, above and below the ocean surface. The east coast of this exciting island faces the Atlantic Ocean and the west faces the Caribbean Sea. The Caribbean Sea is famous for its warm, clear water and its abundance of colourful marine species. The Atlantic is the territory of the larger pelagics, like dolphins, sharks and whales. St. Lucia is rated as one of the best dive destinations in the Caribbean due to the variety of dives as well as the diversity of marine life. 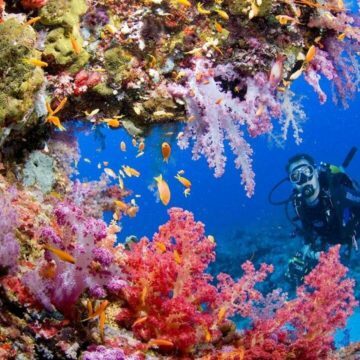 Divers and snorkellers can enjoy colourful coral reefs, sheer walls, pinnacles and wrecks. St Lucia is recognised for having the highest density of reefs in the Caribbean. Saint Lucia is great for turtle, dolphin and whale watching. There are 33 species of whales in the world and over 20 live in or visit Saint Lucia’s waters. 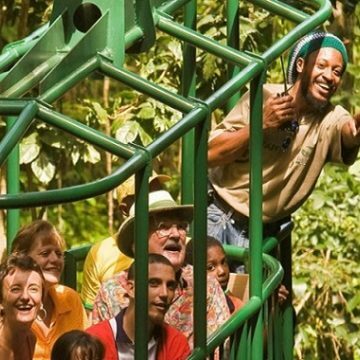 Saint Lucia offers a huge choice of exciting activities for everyone to enjoy – we can recommend the zip wire through the rain forest canopy. There are a lot of sports to enjoy: golf, football, cricket, tennis, volleyball, cycling, horse riding and many more. 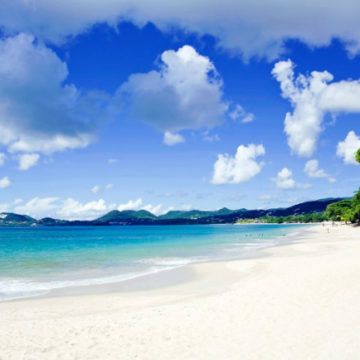 Saint Lucia has some wonderful, white sand beaches, with lots of water sports for all visitors to enjoy, like kitesurfing, windsurfing, jet skis, paddle boarding etc. The conditions are comfortable for swimmers and ideal divers and snorkellers. Saint Lucia is particularly good for families and groups of divers and non-divers. The relaxed and safe atmosphere enable you to enjoy the perfect weather and the fun in peace. Saint Lucia’s countryside is more mountainous than most Caribbean islands, with the highest point being Mount Gimie, at 950 metres (3,120 feet). Saint Lucia is one of the few places in the world that has a drive-in volcano. The iconic Piton Mountains, a UNESCO heritage site, are covered in a lush green rain forest, an exciting natural world with majestic waterfalls, hot springs and tropical birds, flowers and creatures, including several endemic bird species like the brightly coloured Saint Lucia Parrot. Nature lovers will enjoy the many opportunities to explore this beautiful island. 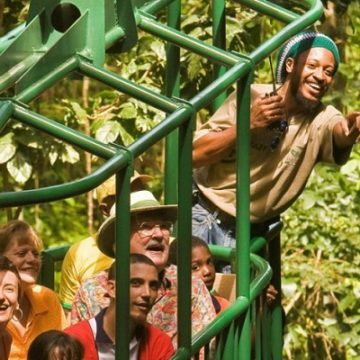 There are numerous established nature trails, plus many guided tours, on foot, by jeep or a fantastic “cable car” ride through the rain forest canopy. The dense rainforest has many exciting features and experiences like the volcano, waterfalls and hot sulphur springs. There are a large number of tours on offer, which we can book for you. 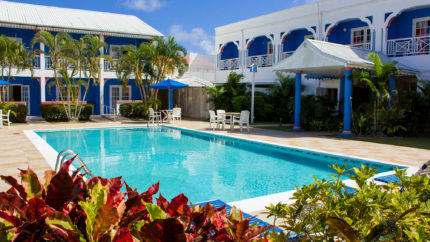 We have visited and personally selected the accommodation we offer on St. Lucia on our website. 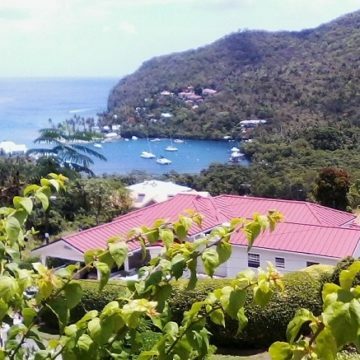 Most accommodation is in the Rodney Bay area of the island, but we have taken care to select good quality, well-priced accommodation further down the west coast, closer to the best dive sites, and closer to the rain forest, for those who wish to enjoy the diving, snorkelling and the rain forest. Our holidays are designed for “independently minded” people and we offer small resorts and hotels with character and personal service. The accommodation ranges from hotel rooms of various standards to apartments of various size. There is a range of board options available at hotels and resorts, while apartments and studios give you the freedom to self-cater, if you wish. Usually there will be restaurants nearby, should self-catering lose its appeal. Some of our accommodation is on small resorts with amenities like swimming pools, dive centres and a restaurant (or two) on site. These are small resorts, nothing like the large European holiday resorts. 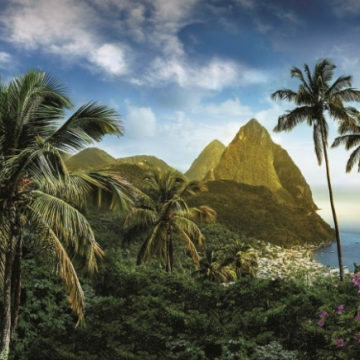 St. Lucia, like most islands in the Caribbean, was formed by a volcanic eruption. The rugged island interior, with its still smouldering volcano, is covered by a beautiful, dense tropical rain forest. Though less than 616 km2 in area, Saint Lucia has a great natural diversity. More than 2,000 native species, of which nearly 200 species occur nowhere else (including 76% of its terrestrial reptiles). St. Lucia is predominantly undeveloped, and the exciting geography has wonderful natural features like hot springs and waterfalls. 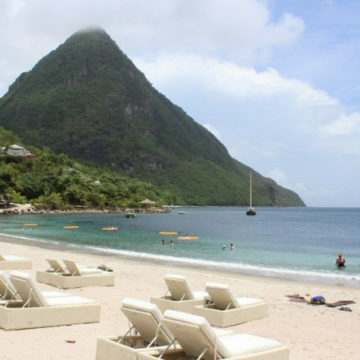 St. Lucia has two distinct environments. The coastal region, on drier parts of the coast, is dotted with cacti and other succulent plants but, most importantly, thick mangroves along the shoreline. These form a network of roots along the water’s edge, and the health of coral reefs depends upon them. They protect baby fish, prevent the coastline from eroding and soil from polluting the reefs. The other distinct geographic region is the rainforest, which covers most of the island, and has around 600 types of plant, tree and shrub per acre, ranging from long vines to huge chataignier trees, which grow up to 20 metres (66 feet) in height. 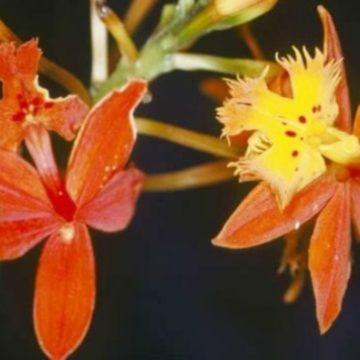 Brightly coloured orchids grow on trees up to 5 metres (16 feet) high. 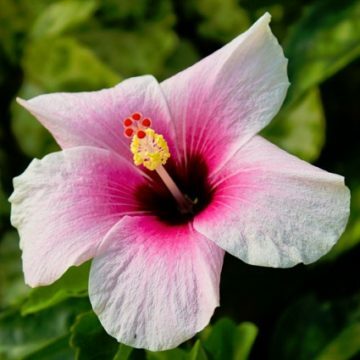 Hibiscus, orchids and mosses cover the trunks of mahogany and Caribbean pine. 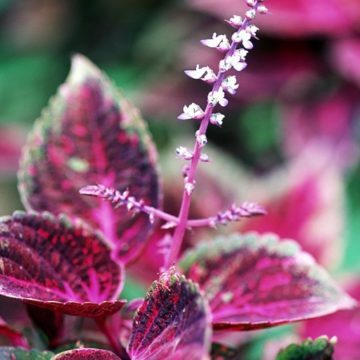 Hundreds of species of tropical plants, fruits and flowers thrive in the tropical climate, colourful blooms like the Anthurium Lily, Pink and Red Ginger Lilies with their unique conical shape and Heliconia. The Caribbean Pink’ Anthurium, is a speciality of St. Lucia. Everywhere you’ll see exotic fruit trees like mango, guava, banana, cocoa, citrus and breadfruit. The spiky breadfruit is an important food for the rare St Lucian ‘Jacquot’ parrot. 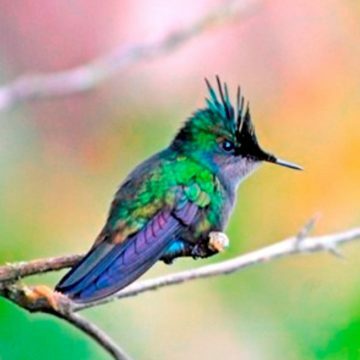 Saint Lucia is home to the highest number of endemic birds in the Eastern Caribbean region. 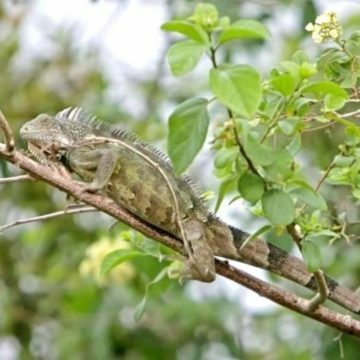 The island has 167 species, 6 endemic, 11 endemic subspecies and 7 Lesser Antillean regional endemics like the rare, brightly coloured Saint Lucia Parrot, or “Jacquot”, the national bird, a species that recovered from dangerously low numbers. 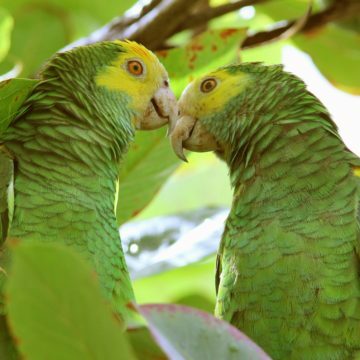 Around 2,000 Saint Lucia amazon parrots now live in the country, up from only about 100 in the 1970s. The other endemics are the Saint Lucia Warbler, the Saint Lucia Oriole, the Saint Lucia Black Finch, and the Saint Lucia Pewee. There are numerous sites for bird watchers in parks, nature trails and wetlands and a number of tours on offer, which we can book for you. Millet Bird Sanctuary has over thirty species, including five of the endemic species. This is one of the best birdwatching sites on Saint Lucia. There are a number of pools and wet areas where a river has been diverted at the western end of Hewanorra International Airport. An area of 6 acres attracts many species of ducks, herons, sand pipers, plovers, egrets, gallinules, rails, shorebirds and other waterfowl. St Lucia’s native mammals include nine species of bat which are vital for pollinating fruit crops. The Antillean Fruit Bat and Insular Long-tongued Bats are two of the protected species. There are various cave sites around the island home to various species. 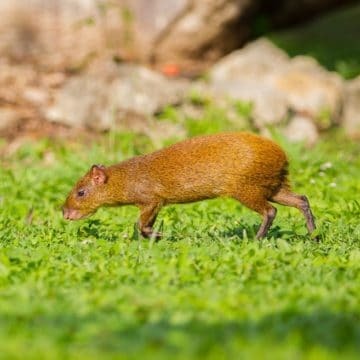 The Agouti is a small rodent with brown hair and grows to around 60 cm and 4 kg in weight. The Manicou is a marsupial opossum, common on St. Lucia. The mongoose was introduced from India to control snake and rodent populations and has been so successful it is now considered a possible threat to protected native species. 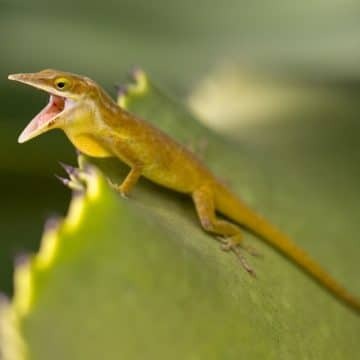 St. Lucia has some endemic species of reptile like the Saint Lucia Lancehead, the Saint Lucia Thread snake, the Saint Lucia Racer, the Saint Lucia Cribo, the Saint Lucia Whiptail, the Saint Lucia Dwarf Gecko, the Saint Lucia Skink and the Saint Lucia Anole. 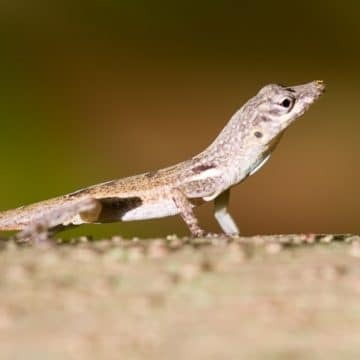 The St. Lucia Whiptail, unknown to science before 1958, is considered one of the world’s rarest lizards, discovered on Saint Lucia’s Maria Islands. 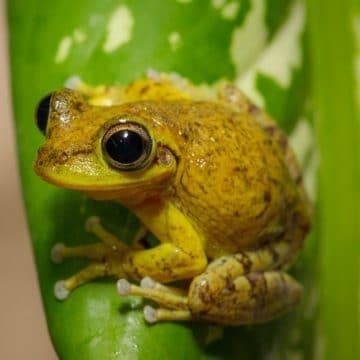 Frogs such as Johnstone’s Whistling Frog and green geckos are common around the island. Kouwes Snake, also known as the St. Lucia Racer, is the rarest snake in the world, perhaps just 20 creatures left on the planet. Growing to three feet, this non venomous, harmless snake is olive-brown with a black zig-zag pattern down the back. The project to save the Saint Lucia racer aims to replicate the success with the Antiguan racer, which has increased in number from just 50 to over 1,100. The worm snake is recognized as the world’s smallest snake at just six inches long. 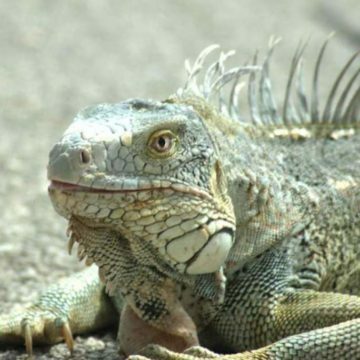 The St. Lucia Iguana is from a unique population, distinct from other green iguanas and are the largest lizard on Saint Lucia. They grow up six feet in length and although tree dwellers they are often seen on the ground. Saint Lucia is a great pace for whale, turtle and dolphin watching. There are 33 species of whales in the world and over 20 live in or visit Saint Lucia’s waters. Many different dolphin species can be seen in the ocean around the island. You can spot humpback and pilot whales as well as spinners, spotted and bottleneck dolphins. Leatherback turtles lay their eggs on Grand Anse beach from March to August. Nature enthusiasts will love the many opportunities to explore this beautiful island’s natural world. The Edmund National Rainforest has 29 miles of marked trails through 19,000 acres of rainforest, like the Tet Paul Nature Trail and the Des Cartier Trail. 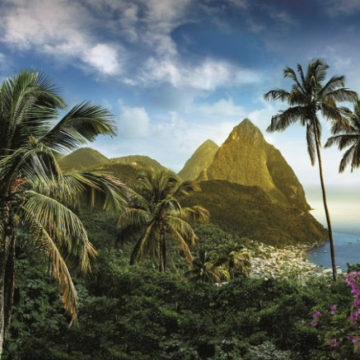 The beautiful twin Pitons, St. Lucia’s iconic landmarks, are now a UNESCO World Heritage site. The Gros Piton is 771 m, and the Petit Piton is 743 m high. Guided tours and hikes are available. The Gros Piton trail, which takes approximately 4-5 hours, takes visitors to the top of the mountain to enjoy the breathtaking views of the island. covers 19,000 acres of lush mountains and valleys. Diamond Botanical Gardens has a wide range of plants and colourful flowers on display. St. Lucia’s spectacular Diamond Waterfall is the most colourful waterfall in the Caribbean due to a mixture of highly coloured minerals and volcanic rock. Fond Doux Plantation is 135 acre working cocoa plantation. 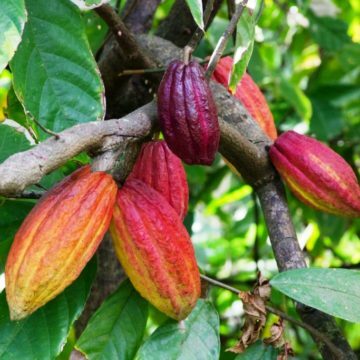 Trails on the estate take you through cocoa trees and other exotic crops grown on the plantation. Mamiku Gardens sits on 12 acres of natural woodland in Micoud and offers a number of hidden gardens full of colourful blooms and wildlife. 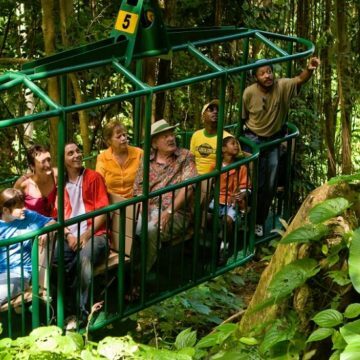 There are guided tours, on foot and in various vehicles, including a fantastic “cable car” ride through the rain forest canopy. The rain forest has many exciting experiences like waterfalls and hot springs. If you’re feeling adventurous, you could zip-line though the rainforest canopy. This is great fun, we can highly recommend it. You can visit the Caribbean’s only drive in volcano, indulge in a mud bath at the sulphur springs, Segway along a nature trail, climb the Pitons, mountain bike through old sugar plantations. So much to see and do many exciting experiences while enjoying the wonderful natural world. St Lucia is in the Caribbean Sea, south of Martinique, north of St. Vincent and west of Barbados. The east coast faces the Atlantic Ocean and the west faces the Caribbean Sea. 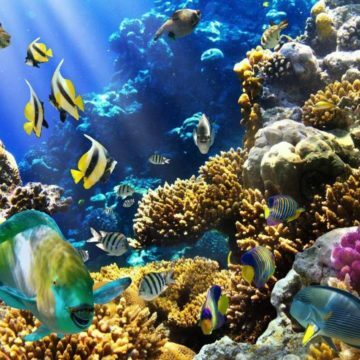 The Caribbean Sea is famous for its warm, clear water and its abundance of colourful marine species, 156 different species of fish were logged on one reef alone! Currents from the open ocean enrich the waters with nutrients which support a healthy marine life. The Atlantic is the territory of the larger pelagics, like dolphins, sharks and whales. St. Lucia is rated as one of the best dive destinations in the Caribbean due to the variety of dives as well as the diversity of marine life. The island’s volcanic birth has created spectacular natural features, above and below the ocean surface. St. Lucia is a beautiful island, its dramatic landscape is covered in a lush, green rain forest a fantastic diversity of flora and fauna. The twin Pitons, the island’s iconic mountains, rise to over 805 metres and the wall below the waterline drops to over 500 metres. The dramatic, breathtaking natural beauty of St. Lucia continues below the surface of the ocean, colourful coral reefs, sheer walls, rock formations, pinnacles, arches, trenches and wrecks. Spectacular volcanic peaks, encrusted with coloured corals and sponges, rise up from the depths to within a few feet of the surface. Reefs slope from 3 metres to 12 metres then drop to over 500 metres. The variety of features provide a multitude of habitats for a magnificent diversity of marine life. Divers and snorkellers can enjoy shallow reef dives, wrecks and deeper wall dives. 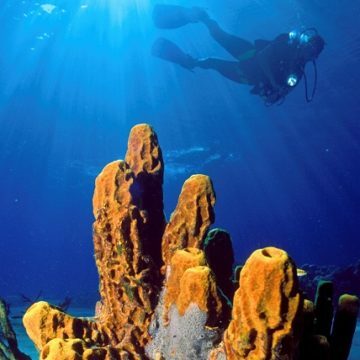 Many are award winning sites such as The Key Hole Pinnacles, voted one of 10 best dive sites by Caribbean Travel & Life. 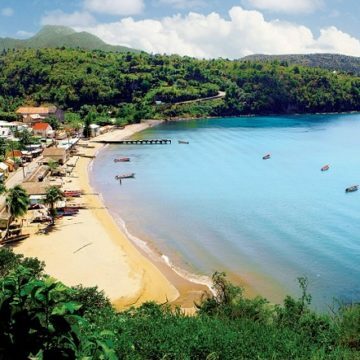 St Lucia is recognised for having what the highest density of reefs in the Caribbean. Photographers love the variety of features and marine life. The shallow water allows lots of natural light and the absence of serious currents makes the process a lot easier. There are many photographic specialists on island and some run photographic courses. Coral reefs “wake up” at night, Octopus, squid, huge channel clinging crabs, conger eels, golden tail moray eels, electric rays, large basket stars and bioluminescent organisms – and “the thing” ! Rare, shy and extremely fast, this purple coloured, segmented worm, harmless to divers, possibly up to 5 metres in length, is yet to be officially identified. It is nocturnal and images are few and far between. A night time special event, coral spawning, around the end of August, can now be accurately predicted. This is a superb night dive. Wrecks are often at depths beyond many divers, but St. Lucia has a couple that almost every diver can enjoy. The sunken freighter, Lesleen M, is an artificial reef in the Anse la Raye area. The 50 metres long freighter is covered with hard and soft corals, sponges and hydroids, an ideal habitat for turtles, octopus, neon-blue clawed spider crabs and many species of juvenile fish. The wreck is upright, 9 metres to the deck and 20 metres at its deepest point. Divers can explore the hold and engine room. An exciting experience, especially for beginners, to dive a wreck in shallow water. The other wrecks on Saint Lucia are in deeper water, with strong currents, only for experienced divers. Whale sharks and humpback whales have been seen passing by the island – so keep an eye on the deep blue. Frogfish, seahorses, turtles, angelfish, golden-spotted eels, octopus, moray eels, parrotfish, spotted drums, flying gurnard, peacock flounder, queen angel fish, barracuda, horse-eye-jacks, Bermuda-chubs, Creole-wrasse, southern-stingrays and occasionally nurse-sharks. Mahogany snappers and schoolmasters have made a welcome recovery and you might spot a rare sunfish. Spectacular pillar coral, large gorgonians, massive barrel sponges, black coral fans, deep-water lace coral and layers of porcelain like plate coral, stacked one on top of the other. There’s lots more – but not enough room to mention them all here. Saint Lucia is great for turtle, dolphin and whale watching. There are 33 species of whales and over 20 live in or visit Saint Lucia’s waters. You can never guarantee sightings, but humpback, pilot and sperm whales and pods of dolphins are often seen. Some boats are equipped with hydrophones, for you to hear the creatures communicating. You can watch Leatherback turtles lay their eggs on Grand Anse beach, from March to August. 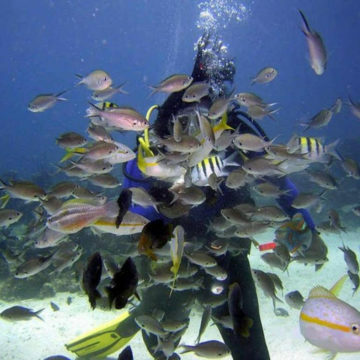 Saint Lucia is 27 miles by 14 miles with over 25 sites suitable for divers and snorkellers of all levels. Most sites are close to the sheltered west coast, in the Caribbean Sea. Reefs are generally close to shore, in places just 10 metres out. Depths range from 6 metres to 45 metres of warm, clear water. 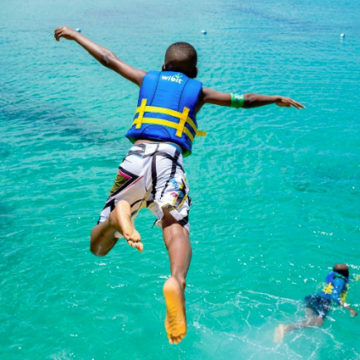 There is little or no current at most sites on this sheltered coast, but there are areas where divers can enjoy a “drift dive” – like Superman’s Flight at the base of the Petit Piton, used in the filming of Superman II. This easy, exciting diving is wonderful experience for all divers, snorkellers and photographers – day or night. 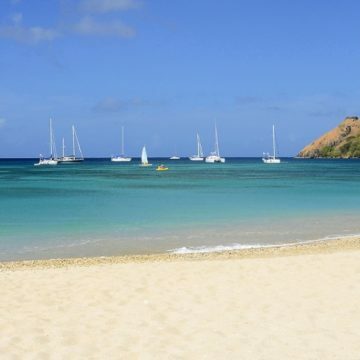 Saint Lucia has a few shore-entry sites, but most diving is by boat. Divers and snorkellers can enjoy many of the sites together. It’s not a long journey, generally between 10 and 30 minutes. 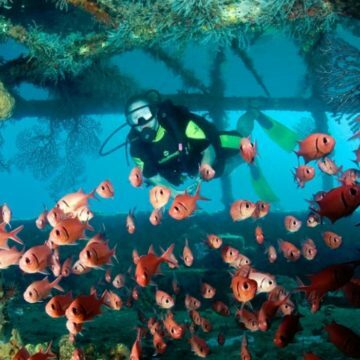 There are also a handful of dive sites off the northwest coast of Saint Lucia. Larger species, including rays are seen in this area more often than in the south. These sites are more susceptible to the weather and have stronger currents. But the boats can go further south if conditions become too challenging. We offer a good selection of accommodation and dive centres all along the west coast. You are never far from the ocean, a dive centre or a dive site. Snorkellers will enjoy the easy conditions, warm clear water and the lack of currents along the west coast. There are many beautiful shallow reefs, close to shore, with a wonderful variety of colourful tropical creatures, clearly visible from the surface. Some of the best diving and snorkelling in the Caribbean is between Marigot Bay and the Anse Chastanet reef in 2m to 8 m of water. There are many guided snorkel trips, from shore and from the dive boats. Dive boats are well equipped for the short ride to the dive sites. Custom dive boats take small groups of divers and snorkellers, usually 6 to 8 people, to the sites, 2 or 3 times per day, except Sunday. At most sites there will be just you and a few (new) friends – very relaxed and comfortable. As these are small groups, availability is limited. Any diving you wish to do should be booked before your arrival on island. The Caribbean Sea means warm, clear water, ranging from 26°C to 29°C. Most divers will be fine in a 3 mm shortie. Visibility ranges from 24-45 metres. The weather and ocean conditions are comfortable and constant throughout the year. You can dive St. Lucia all year. On the south and west coasts there is little or no current. On the north and east coasts there may be a little more current due to the open ocean. As you would expect on a tropical island in the Caribbean, the weather is almost always warm and sunny. The air temperature ranges from 26°C to 33°C, and a nice sea breeze keeps you cool and fresh. Rainy season is October to December, short tropical downpours, then warm and sunny again. There is a hyperbaric chamber at the Tapion Hospital in the capital Castries. To protect the underwater world the Marine Management Area Marine Park, which includes the Soufriere Marine Reserve to the south west, was founded in 1981, to protect the environment for future generations. Their work extends out of the ocean and includes minimising impervious surfaces, keeping shorelines green and stable and preventing runoff into the ocean. 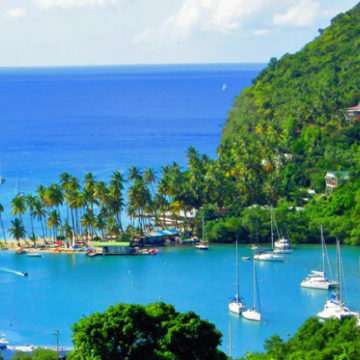 Saint Lucia is particularly good for families and groups of divers and non-divers. The relaxed and safe atmosphere enable you to enjoy the perfect weather in peace. The reef is close to shore, so if you are snorkelling (or diving) you are not away for long. Snorkelling in warm, shallow water is a great way to introduce children to the wonderful underwater world. 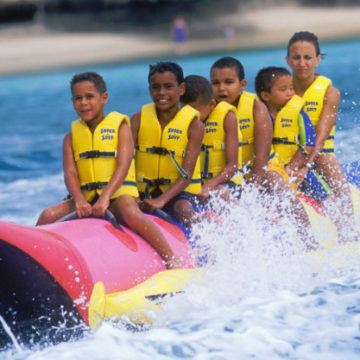 Saint Lucia has some wonderfully large, white sand beaches, with lots of water sports and many land based activities for the whole family to enjoy. We are an ATOL bonded, diving holiday specialist for Saint Lucia. We work closely with the dive centres on Saint Lucia who have everything divers and snorkellers might need. They offer boat diving, guided dives, night dives, equipment for sale or hire and instruction courses for all levels, including complete beginners and youngsters. The Caribbean is a great place to take a referral or refresher course. We tailor-make holiday itineraries, which can include all your diving requirements, to ensure you get the best from your diving holiday. We know how the diving works and have prices lower than you would pay on island. Tell us what you’d like, and we will book your diving with our dive operator partner, at your accommodation, or nearby. On a small island services like diving, instruction courses, excursions, vehicle hire etc., get booked up quickly. It is important to reserve any services you may want for your holiday, before you arrive on Saint Lucia. Booking with us saves you money and ensures those services are available to you when you arrive on island, avoiding any disappointment. Those services then become part of your ATOL protected holiday itinerary. St Lucia is in the Caribbean Sea, its volcanic birth has created spectacular natural features, above and below the ocean surface. St. Lucia is a beautiful island and the island’s breathtaking natural beauty continues below the surface. The east coast faces the Atlantic Ocean and the west faces the Caribbean Sea. 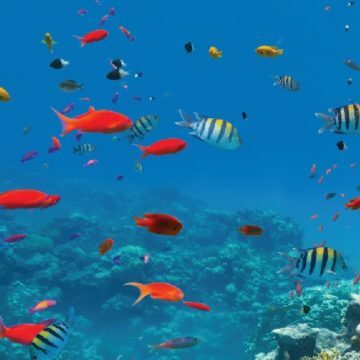 The Caribbean Sea is famous for its warm, clear water and its abundance of colourful marine species, 156 different species of fish were logged on one reef alone! Currents from the open ocean enrich the waters with nutrients which support a healthy marine life. The Atlantic is the territory of the larger pelagics, like dolphins, sharks and whales. St. Lucia is rated as one of the best diving and snorkelling destinations in the Caribbean due to the easy conditions and diversity of marine life. The ocean around the island has colourful coral reefs, rock formations, pinnacles, arches, trenches and wrecks. Spectacular volcanic formations, encrusted with coloured corals and sponges, rise dramatically from the depths to within a few feet of the surface. St Lucia has the highest density of reefs in the Caribbean, many are in shallow, crystal-clear water, just 3 to 12 metres down, ideal for snorkellers. 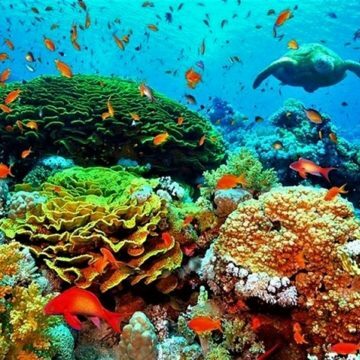 These healthy reefs provide a multitude of habitats for a magnificent diversity of marine life. Photographers love the variety of features and marine life. The shallow water allows lots of natural light and the absence of serious currents makes the process a lot easier. There are many photographic specialists on island and some run photographic courses. 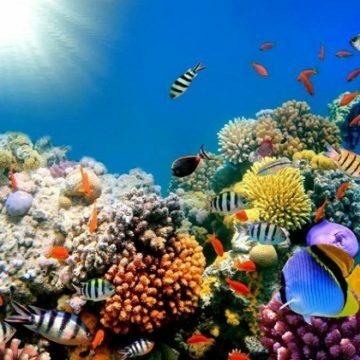 Coral reefs “wake up” at night, Octopus, squid, huge channel clinging crabs, conger eels, golden tail moray eels, electric rays, large basket stars and bioluminescent organisms – and “the thing”. Rare, shy and extremely fast, this harmless purple coloured, segmented worm, is nocturnal and still a mystery. Coral spawning, around the end of August, can now be accurately predicted. This is a superb night time experience. Wrecks are often at depths beyond the view of snorkellers, but St. Lucia has a couple the can enjoy. The freighter Lesleen M is an artificial reef in the Anse la Raye area. The 50 metres long wreck is covered with hard and soft corals, sponges and hydroids, an ideal habitat for turtles, octopus, neon-blue clawed spider crabs and many species of juvenile fish. The wreck is 9 metres to the deck and 20 metres at its deepest point. In clear water snorkellers get a great view of this wreck. Whale sharks and humpback whales have been seen passing by the island – so keep an eye on the deep blue. Possible sightings: frogfish, seahorses, turtles, golden-spotted eels, octopus, moray eels, parrotfish, spotted drums, flying gurnard, Queen angel fish, barracuda, horse-eye-jacks, Bermuda-chubs, Creole-wrasse and southern-stingrays. Mahogany snappers and schoolmasters have made a welcome recovery and you might spot a rare sunfish. In additions, spectacular pillar coral, large gorgonians, massive barrel sponges, black coral fans, deep-water lace coral and layers of porcelain like plate coral, stacked one on top of the other. There’s lots more – just not enough room to mention them all here. Saint Lucia is great for turtle, dolphin and whale watching. There are 33 species of whales in the world and over 20 live in or visit Saint Lucia’s waters. You can never guarantee sightings, but humpback, pilot and sperm whales and pods of dolphins are often seen. Some boats are equipped with hydrophones, for you to hear the creatures communicating. You can watch Leatherback turtles lay their eggs on Grand Anse beach, from March to August. 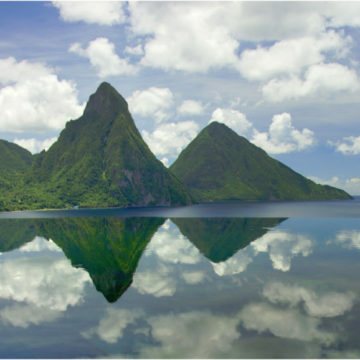 Saint Lucia is 27 miles long by 14 miles across with over 25 sites suitable for divers and snorkellers of all levels. 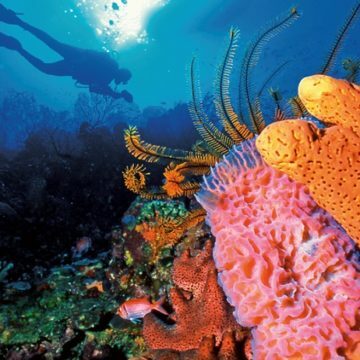 Most dive sites are close to the sheltered west coast in the Caribbean Sea. Reefs are generally close to shore, in places just 10 metres out, and depths range from 6m to 45m of warm, clear water. There is little or no current at most sites on this sheltered coast. Snorkelling can be done from the shore but to enjoy more sites snorkellers should join the dive boats which run 2 / 3 trips per day. Snorkellers and divers can enjoy many of the sites together. We offer a good selection of accommodation and dive centres all along the west coast. 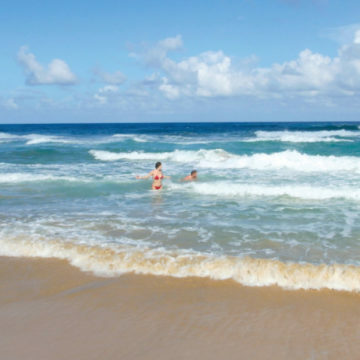 You are never far from the ocean and snorkellers will enjoy the easy conditions, warm clear water and the absence of currents along this coast. There are many guided snorkel trips, from shore and from the dive boats. The Caribbean Sea means warm, clear water, ranging from 26°C to 29°C. Visibility ranges from 24-45 metres. The weather and ocean conditions are comfortable and constant throughout the year. On the south and west coasts there is little or no current. On the north and east coasts there may be a little more current due to the open ocean. As you would expect on a tropical island in the Caribbean, the weather is almost always warm and sunny. The air temperature ranges from 26°C to 33°C, and a nice sea breeze keeps you cool and fresh. The rainy season is October to December, with short tropical downpours, then warm and sunny again. Snuba is a great way to explore the marine world. 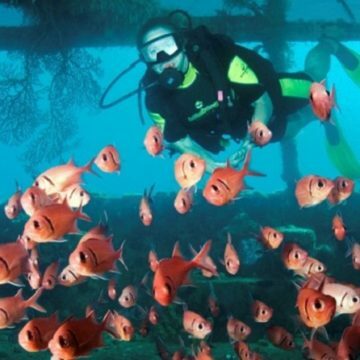 A combination of scuba diving and snorkelling, Snuba gives everyone a chance experience the beauty Saint Lucia has to offer under the sea. You do not need any snorkelling or diving experience and people with only basic swimming skills are able to enjoy this activity. Guests are equipped with a Sea Trek helmet which sits comfortably on your shoulders. You breathe freely as air is pumped into the helmet. There are no masks, no mouthpieces, no hassle. Your head stays dry throughout your underwater adventure. We are an ATOL bonded, diving holiday specialist for Saint Lucia. We work closely with the dive centres on Saint Lucia who have everything divers and snorkellers might need. 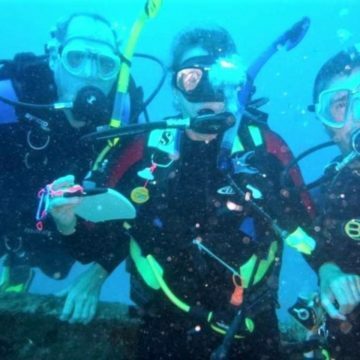 They offer boat diving, guided dives, night dives, equipment for sale or hire and instruction courses for all levels, including complete beginners and youngsters. The Caribbean is a great place to take a referral or refresher course. On a small island services like boat excursions, vehicle hire etc., get booked up quickly. It is important to reserve any services you may want for your holiday, before you arrive on Saint Lucia. Booking with us saves you money and ensures those services are available to you when you arrive on island, avoiding any disappointment. Those services then become part of your ATOL protected holiday itinerary. 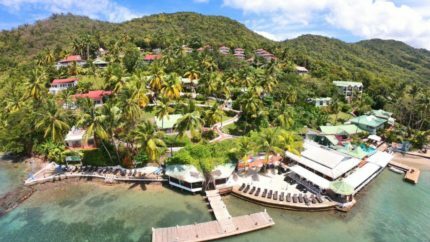 Saint Lucia has a huge choice of exciting things to do – for everyone to enjoy – too many to mention them all – many of them surrounded by the natural beauty of Saint Lucia. 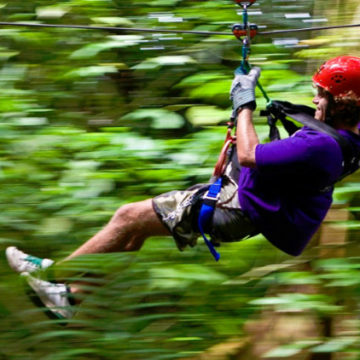 An extra dimension to an exciting new experience – like riding the zip wire through the rain forest. 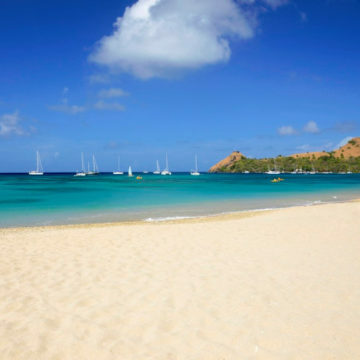 Saint Lucia’s soft sand beaches are very popular, and not just for relaxing and getting some sun. Most have a lot of fun things to do for visitors – in, on and under the water. There are water sports like kitesurfing, windsurfing, jet skis, paddle boarding etc. The Atlantic coast has a steady on-shore breeze – ideal for kite and wind surfers. There is small water park off Reduit beach – a challenge for all the family. The Ocean – the island’s western coast faces the Caribbean Sea, warm, calm, clear water, and conditions are ideal for swimmers, divers and snorkellers. 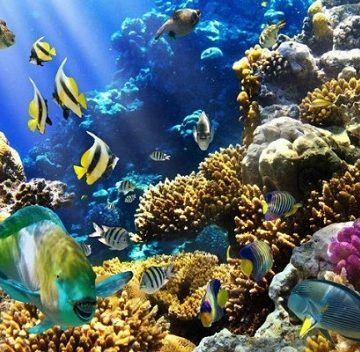 The Caribbean Sea is famous for the colourful coral reefs and diversity of marine species. The island is as beautiful underwater as it is on land, exciting enough for even the most experienced divers and snorkellers. 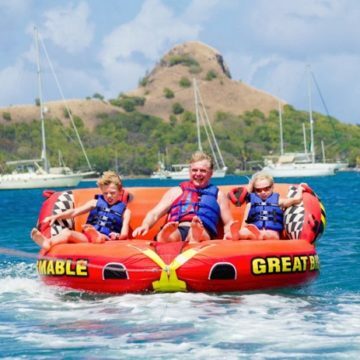 SNUBA and Sea Trekking are two novel ways of exploring the wonderful marine world of St. Lucia. The Atlantic coasts are often visited by larger, ocean roaming creatures such as sharks, dolphins and whales. St. Lucia is one best places in the Caribbean to see whales, turtles and dolphins. There are 33 species of whales and over 20 live in or visit Saint Lucia’s waters, like humpback and pilot whales as well as spinners, spotted and bottleneck dolphins. Some boats are equipped with hydrophones, so you can hear the creatures talking to each other. Nature enthusiasts will love the many opportunities to explore this beautiful island’s natural world especially as you’ll be able to do this at your own pace. The rain forest has many exciting features like a volcano, waterfalls and hot springs. Many of the activities available can also be done with guides to help you make the most of the experience. 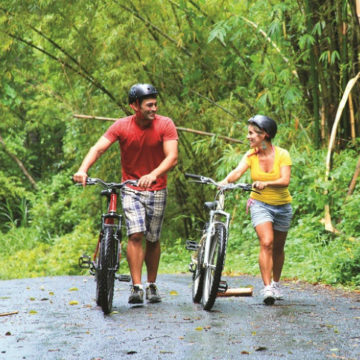 There are numerous tours available using a variety of modes of transport – on foot, on a mountain bike, with a jeep safari or the fantastic “cable car” ride through the dense rain forest. There are 29 miles of trails through 19,000 acres of rainforest. The Piton Mountains – are a UNESCO World Heritage Site. The Gros Piton is 771 m, and the Petit Piton is 743 m high. The Gros Piton trail enables visitors to climb to the top of the mountain to take in the breath-taking views of the island. While you are there you can take a mud bath in the Sulphur Springs in the heart of the Caribbean’s only drive-in volcano! 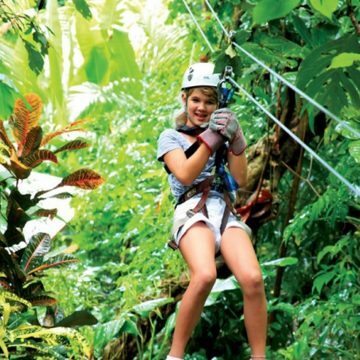 Zip Wires – there are several centres around the island giving you the chance to zip through the rain forest canopy. Very exciting, great fun and highly recommended. Hiking – The island has many established nature trails, like the Tet Paul Nature Trail and Des Cartier Trail. The Tet Paul Nature Trail is an easy hike with some breathtaking views en route of Jalousie Bay, Petit Piton and Gros Piton as well as Martinique and St. Vincent. The Diamond Botanical Gardens & Waterfalls is a particularly good hike /tour. Lots of exotic plants and colourful flowers on display. The waterfalls originate from underground thermal springs and the water cascades over rocks that are encrusted with brightly coloured minerals of yellow, purple and green. A wonderful sight. 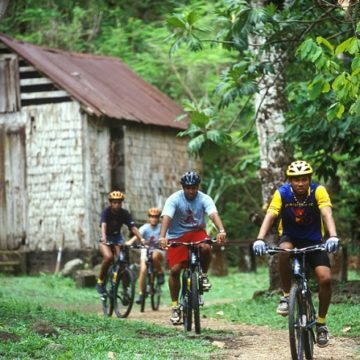 Mountain Biking – along established trail is another great way to explore, and visitors are able to bike through old sugar plantations, past historic sites some 250 years old, along rainforest trails, stopping at waterfalls and other places of interest. Various trails are available depending on your abilities. Segway Tour – you can Segway along a scenic nature trail. This was great fun – and not as hard as it looks. The trail has views of Rodney Bay and Pigeon Island, once used as pirate hideout, a lookout point and a military base, Fort Rodney. ATV Tours – take you across various estates, plantations and through the rainforest. 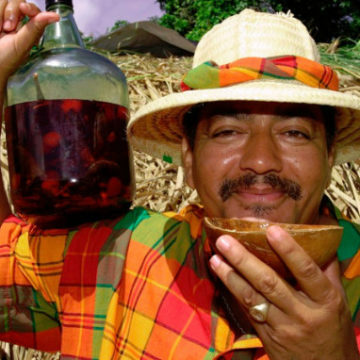 There are less strenuous ways of enjoying the island and many excursions for visitors to absorb and experience the local culture, as well as plantation and estate tours and the (obligatory) rum distillery tour. The Fond Doux Plantation 135 acres of land and is still a working cocoa plantation. 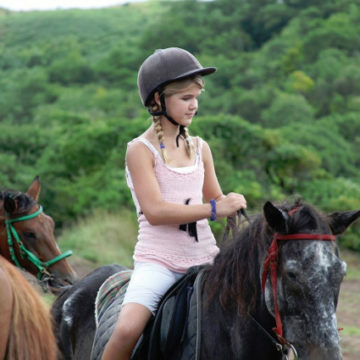 Horse Riding – there are two centres on island offering visitors the chance to canter along the scenic coastline or through banana plantations and pastures. Shopping – there are duty-free shopping malls specialising in perfumery, leather goods, jewellery and other souvenirs. 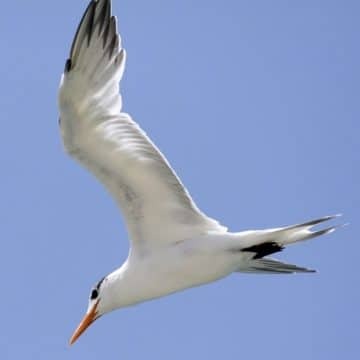 Birdwatching – Saint Lucia has the highest number of endemic birds in the eastern Caribbean. The island is home to 167 Species, during the year, of which 6 are endemics 11 are endemic subspecies and 7 Lesser Antillean regional endemics. These include the brightly coloured Saint Lucia Parrot, or “Jacquot”, the White Breasted Thrasher and the Saint Lucia Peewee. 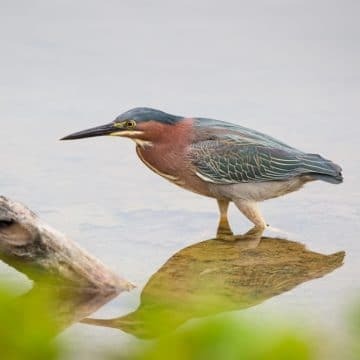 Most sites are easy to get to, Saint Lucia is a small island with lots of trails and some notable sanctuaries, like the Millet Bird Sanctuary and the Vieux Fort Wetlands. There are a large number of tours available. Golf – there are two courses, one 18 holes and tight 9-hole course. There are several tennis and squash courts on the island. 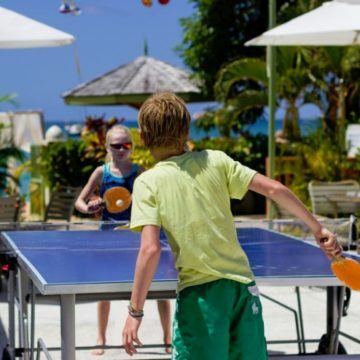 Many hotels offer volleyball on the beach as well as table games such as pool and table tennis. 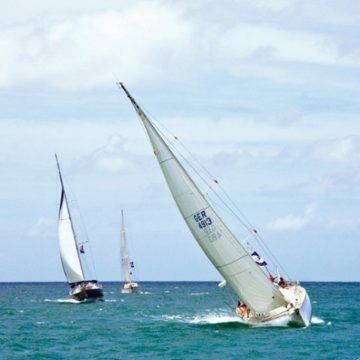 Sailing – is very popular on St. Lucia. Boats can be hired, and there are many boat trips offering a chance to explore the scenic coastline of Saint Lucia. The annual Atlantic Rally for Cruisers (ARC) race begins in the Canary Islands and ends in Saint Lucia. Every November, the race attracts over 200 boats and 1,200 people to sail across the Atlantic to the Caribbean.